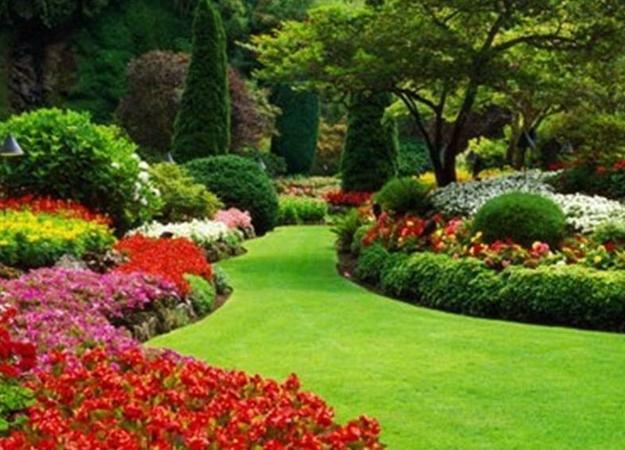 Beautiful garden design creates amazing outdoor living spaces while balancing and harmonizing landscaping ideas and turning imperfections into spectacular details. 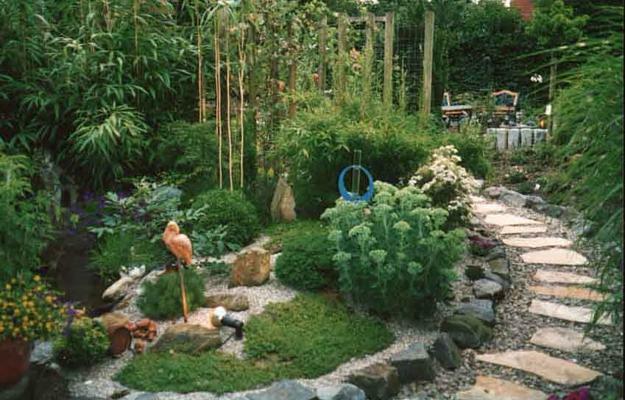 Lushome shares a few interesting landscaping ideas and creative garden design techniques that help visually expand small spaces and balance sites proportions. 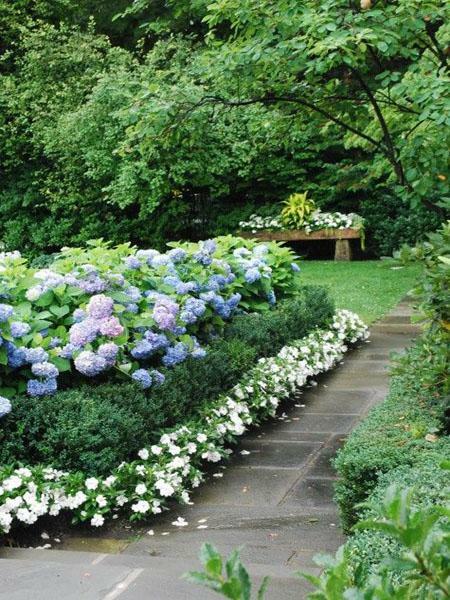 Beautiful garden design depends on many elements, each of which is important. The size, shape and topography of the site do not allow to change landscaping design. Irregularity, very narrow and small spaces can be beautified and balanced by creating optical illusions of bigger space. 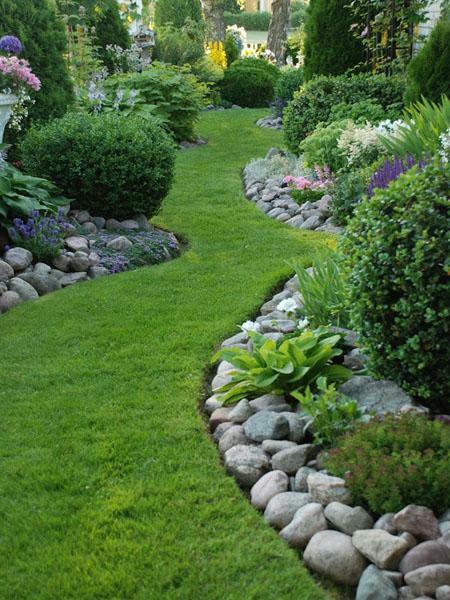 Creating beautiful garden design includes working at small details. Optical illusions are wonderful tricks changing the perception and turning unappealing sites into beautiful. 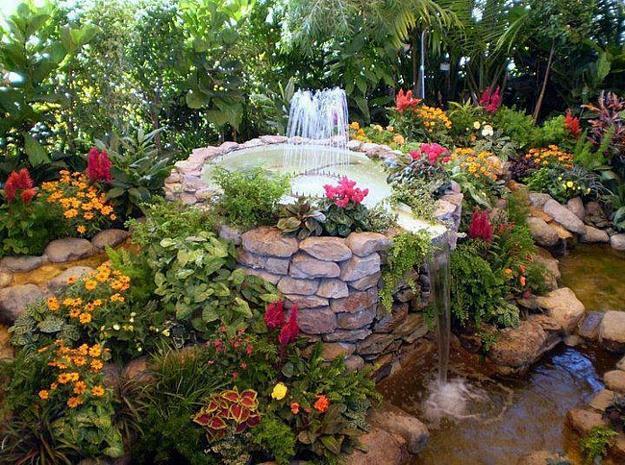 If you like DIY landscaping ideas, start creating your garden design with spectacular illusions. Development of the contemporary technology and modern design ideas provide many attractive materials for creating amazing optical illusions and turning all unappealing spaces into inviting and charming retreats. 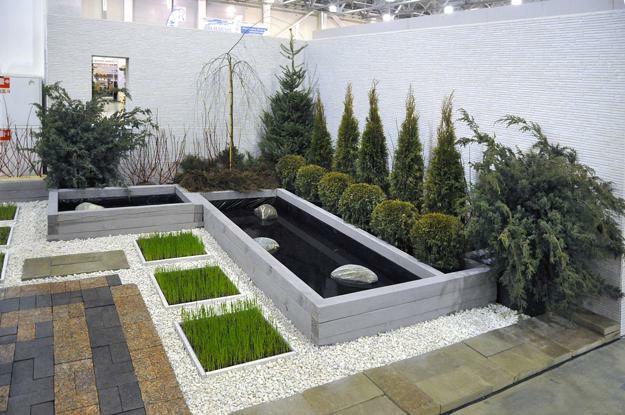 Smart garden design uses all that nature provides, from narrow spaces and tall trees to boulders and water features. 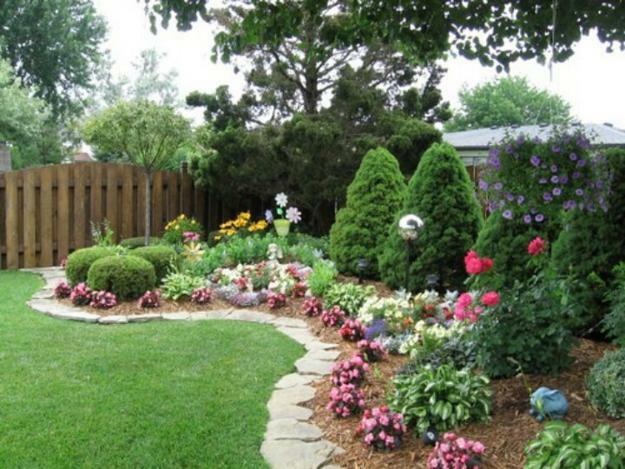 Do not get rid of anything, turn these elements into spectacular yard decorations. 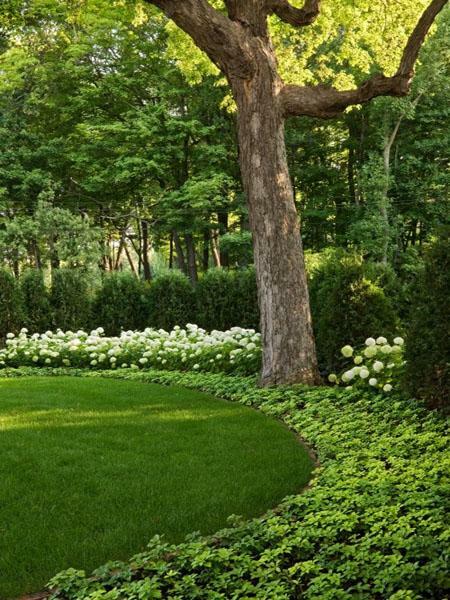 Adding depth to garden design stretches small sites. 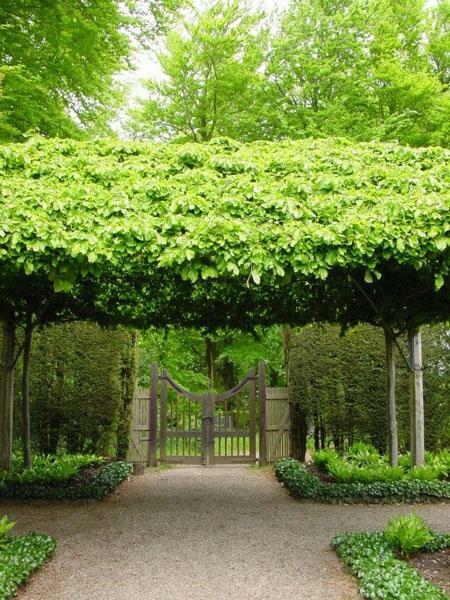 Creating garden design with arches and long hedges visually improve small spaces and create an illusion of bigger garden. 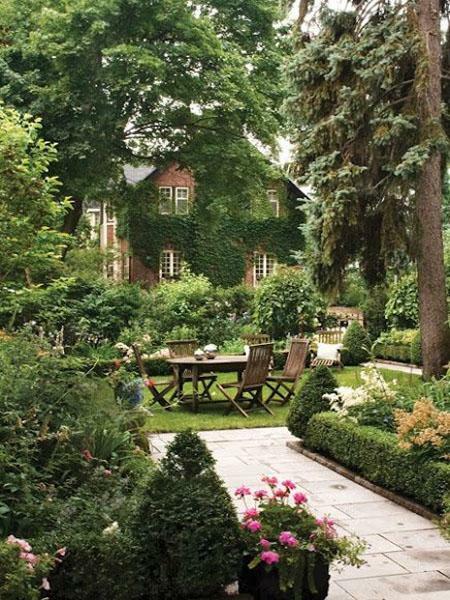 Narrowing the path is an easy garden design idea to stretch outdoor spaces visually. 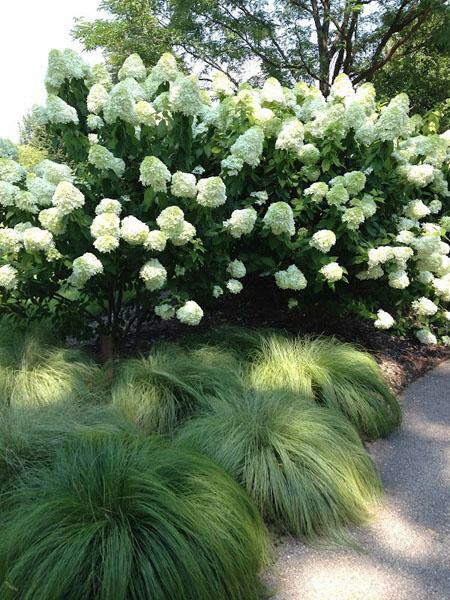 Shrubs and trees planted closer to a home should be taller than decorating plants and flowers in the distance. This will help to create he illusion of larger garden. 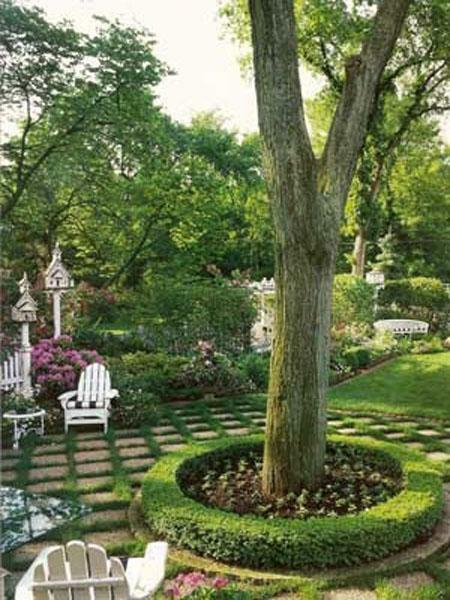 This garden design idea selects a basic element and create landscape that leads a viewer to this attractive centerpiece. 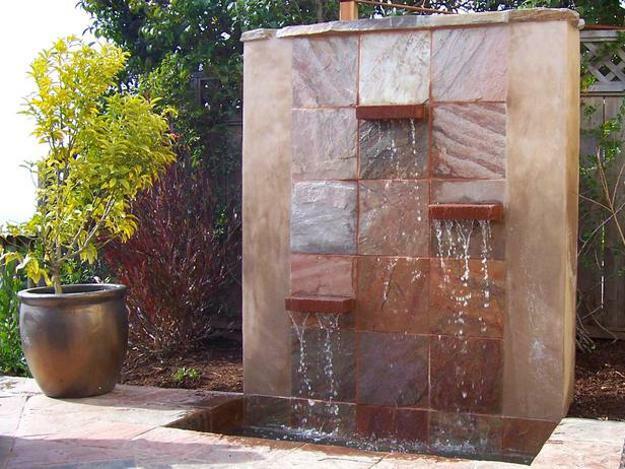 It can be a water fountain, gazebo, flower bed or unusual sculpture. 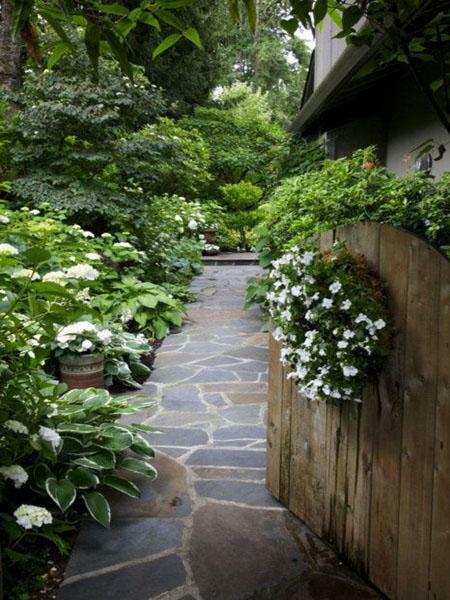 A walkway and arches define the direction toward the garden centerpiece. 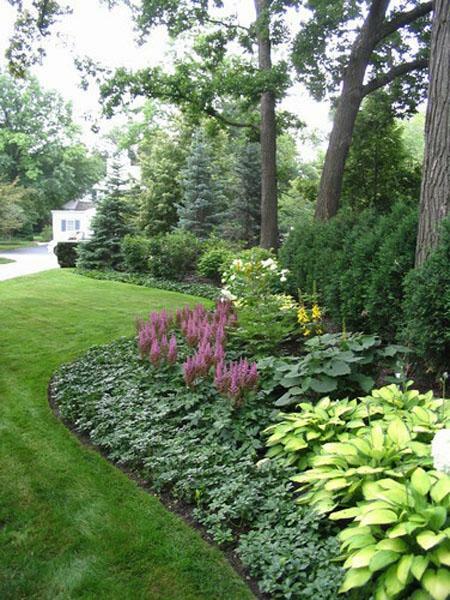 Mowing grass at different angles and planting plants and flowers on different levels adds depth and interest to yard landscaping. 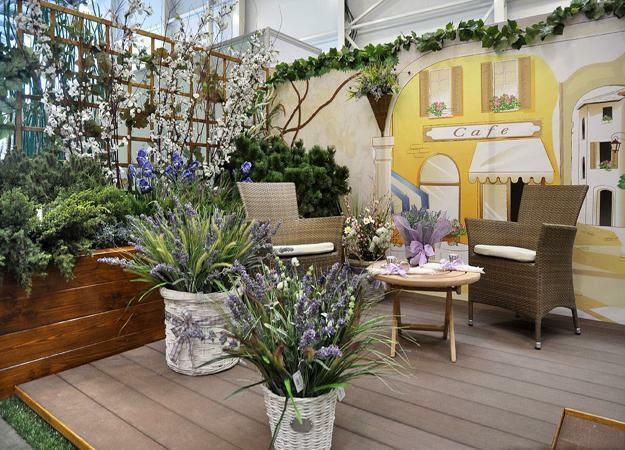 To emphasize the texture and color you can add painted elements and colorful details to your garden design. 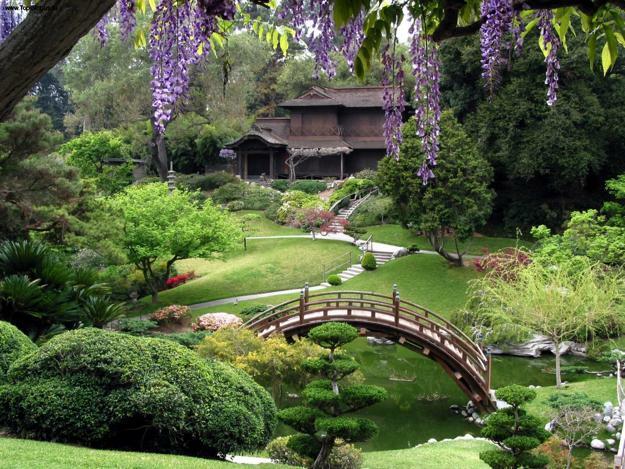 Inspired by Japanese garden design, landscaping artists merge different parts of a garden with Green walls, fences and bridges, united by a single style. 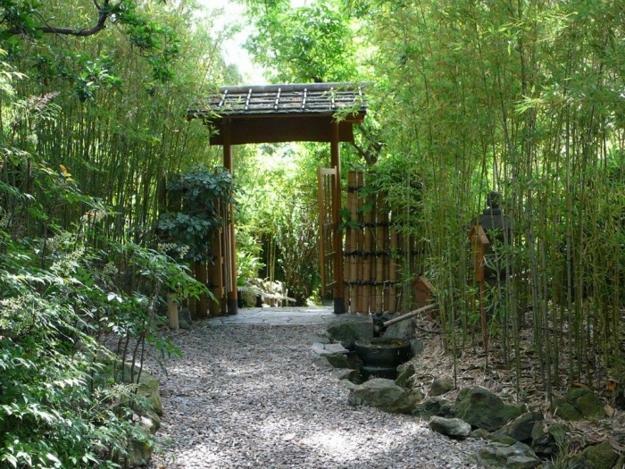 Modern technologies allow to create stunning effects in a garden. 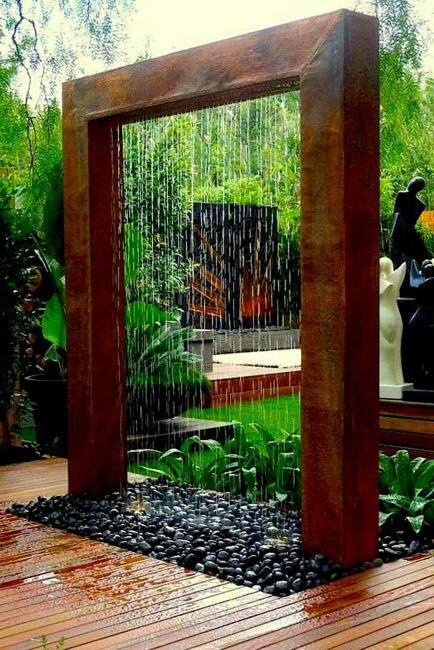 A rainbow, a waterfall or rain wall add a contemporary vibe and unique look to landscaping ideas. 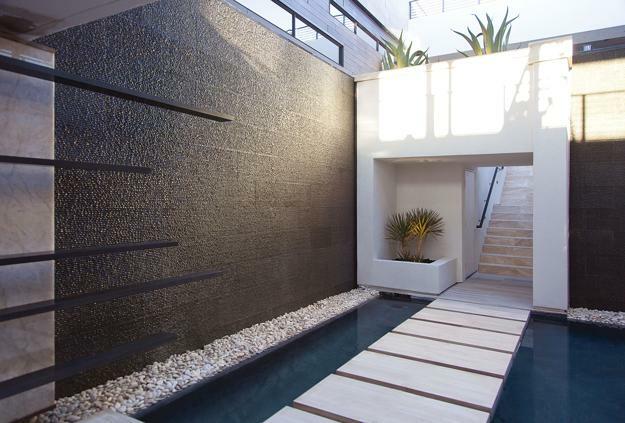 A see-through wall of water is a great element for creating zones in a garden and bring splendid beauty into yard landscaping.